a href="https://vacationidea.com/ideas/best-things-to-do-in-delaware.html" target="_blank">Delaware< offers beautiful white sand beaches, seaside boardwalks, spectacular mansions, lush botanical gardens, and pristine natural preserves. Visitors will find an eclectic mix of accommodations to match the diverse offerings of this tiny state. From the Victorian Rehoboth Guest House in Rehoboth Beach to the five-star luxury Hotel Du Pont in Wilmington to the award-winning Dover Downs Hotel & Casino Resort, there is a place for everyone. 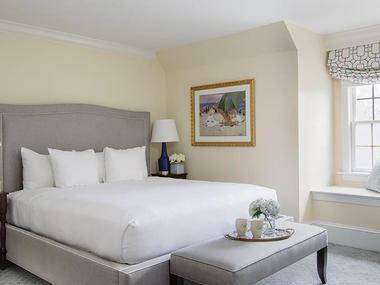 Hotel Du Pont is a 5-Star, luxury hotel featuring Italian Renaissance architecture and elegant design, in the riverfront city of Wilmington, Delaware. Downtown Wilmington offers upscale shopping and dining, world-class theaters and museums, and a sophisticated nightlife. 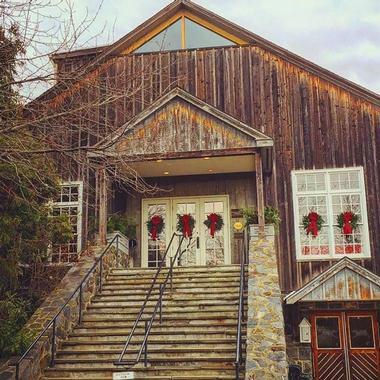 Surrounded by the scenic beauty of Brandywine Valley, the hotel offers guests limitless opportunities for outdoor adventure, antiquing, and wine tasting. There are several local attractions for visitors to explore including the Grand Opera House, Bellevue State Park, and Brandywine Creek State Park. 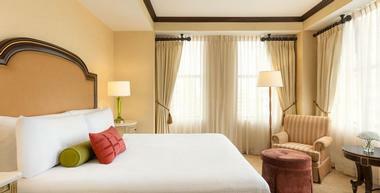 The rooms feature old world European charm infused with modern comfort and technology. They’re equipped with opulent bathrooms, flat-screen TVs with cable, plush bedding, bathrobes and slippers, and high-speed Internet. The Inn at Montchanin Village is comprised of 11 carefully reconstructed buildings dating between 1799 and 1910 in Montchanin, Delaware. It’s only a five-minute drive to downtown Wilmington where the Inn’s guests can explore stylish boutiques, cozy cafes, and appetizing restaurants. There are several local attractions for visitors to explore including the Brandywine Zoo, Bellevue State Park, and Brandywine Creek State Park. The hotel is also about a seven-minute drive from the Delaware River where fishing, boating, and kayaking can be enjoyed. The rooms are comfortable, offer country chic décor, and restored antiques. They’re equipped with private bathrooms, cable TV, and high-speed Internet. The village is equipped with an onsite restaurant, fitness center, and meeting facilities. Hotel Rehoboth is a premier boutique hotel situated a few blocks from the sandy beaches and Atlantic Ocean in Rehoboth Beach, Delaware. Visitors will appreciate the hotel’s central location in town, where they can easily walk to local shops, the boardwalk and beach, and waterfront restaurants. There are a variety of fun water activities available for hotel guests to enjoy including sailing tours around the Delaware Bay, ridding wave runners, surfing, and stand-up paddle boarding. 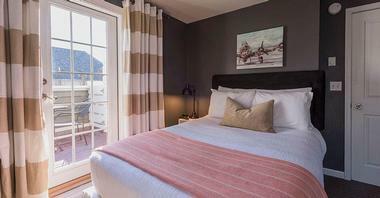 The rooms have pale-blue carpet, beige walls, beach-inspired artwork, and elegant furnishings. They’re equipped with beautiful granite bathrooms, flat-screen TVs, complimentary Wi-Fi, plush bathrobes, and Aveda bath products. Boardwalk Plaza Hotel is an 84-room, oceanfront hotel situated just steps from the beach and shimmering Atlantic Ocean in Rehoboth Beach, Delaware. This Victorian-style hotel is conveniently within walking distance of several waterfront restaurants, charming boutiques, and Funland – a coastal amusement park. There are several water activities for guests to enjoy during their stay that include jet skiing, stand-up paddle boarding, and surfing. The hotel offers elegantly-appointed rooms, furnished with authentic and reproduction Victorian antiques, complete with modern amenities. They’re equipped with private bathrooms, complimentary high-speed Internet, Keurig coffee machines, and cable TV. The hotel features an on-site restaurant, heated soaking pool, and fitness center. 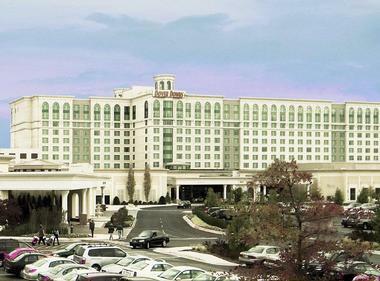 Dover Downs Hotel & Casino is an award-winning resort situated between Delaware Route 1 and U.S. Highway 13 in Dover, Delaware. The resort has been the recipient of numerous accolades, ensuring visitors receive personalized service in a luxury environment. Guests will be surrounded with entertainment during their stay; they’ll enjoy easy access to the resort’s live horse racing, unique shops, concerts, and casino. The resort also features several sensational restaurants and lively bars including Micheles, Frankies, the Gazeebo Bar, and Terrace Bar. 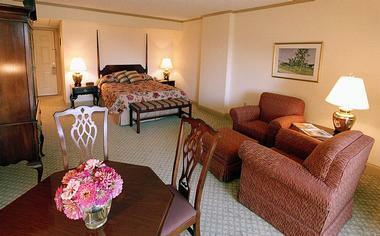 The rooms are spacious, elegantly decorated, and provide chic, contemporary furnishings. 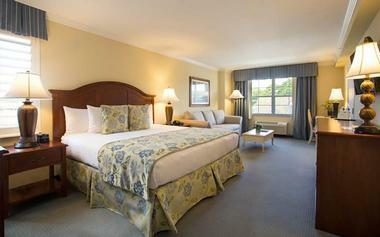 Room amenities include private bathrooms, flat-screen TVs with cable, and complimentary Wi-Fi. Hotel Blue is a private, unique, and luxurious boutique hotel situated just steps from the Lewes and Rehoboth Canal in Lewes, Delaware. The hotel’s guests will appreciate being within walking distance of downtown Lewes restaurants, cafes, and shops. There are a variety of nearby activities to enjoy including taking the Cape May-Lewes Ferry across Delaware Bay, exploring Cape Henlopen State Park, and grabbing ice cream at the Hopkins Farm Creamery. All of the rooms offer individual design, are tastefully decorated, and provide stylish, modern furnishings. Rooms are equipped with romantic fireplaces, pillow-top mattresses, private balconies, flat-screen TVs, and complimentary wireless Internet. 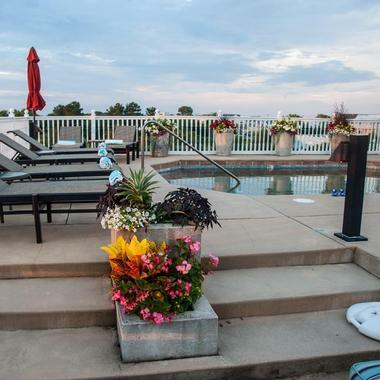 The hotel features a rooftop lounge and pool, indoor dry sauna, and complimentary parking. 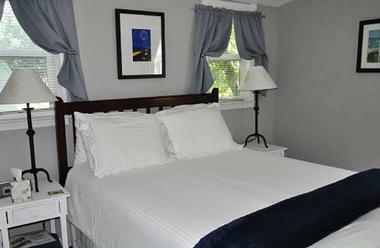 Lazy L Bed and Breakfast Resort offers travelers a relaxing getaway about a half-mile east of Delaware Route 1 in Lewes, Delaware. The resort’s guests will appreciate being only a two-minute drive from downtown Lewes restaurants, cafes, retail shops, and boutiques. It’s also only a couple minutes from the Delaware Bay where visitors can enjoy sailing tours, fishing, and paddle boarding. There are a variety of local attractions for the resort’s guests to explore including Cape Henlopen State Park, the Zwaanendael Museum, and the Cannonball House. The rooms are spacious and bright, tastefully decorated, and furnished comfortably. Resort perks include a heated swimming pool, hot tub, screened porches, outdoor fireplace, and picnic area. The Bellmoor Inn and Spa is a luxury hotel situated just steps from the Atlantic Ocean’s sandy beaches in Rehoboth Beach, Delaware. The hotel’s guests will be within walking distance of superb shopping, waterfront dining, chic art galleries, and lively nightclubs. With the hotel’s location just two blocks from the beach, guests will enjoy easy access to sunbathing, surfing, paddle boarding, and kayaking. The rooms are bright and airy, feature comfortable furnishings like overstuffed easy chairs and sofas, and provide re-imagined, classic décor. They’re equipped with balconies, patios or private yards, opulent bathrooms, plush bathrobes, flat-screen TVs, and complimentary Wi-Fi. Hotel amenities include outdoor pools, and indoor hot tub, fitness center, and rejuvenating spa. Travelers will find The The Brick Hotel situated along Georgetown Circle in downtown Georgetown, Delaware. This historic hotel underwent a total renovation in 2008, renewing its traditional charm, and returning it to its former glory. The hotel’s guests will appreciate being within walking distance of Georgetown’s grocery stores, retail shops, cafes, and restaurants. It’s about a 15-minute drive to Delaware’s beaches where guests can enjoy surfing, sunbathing, paddle boarding, and Jet Ski rides. Visitors can explore nearby attractions that include the 16 Mile Brewing Company, Marvel Carriage Museum, and Treasures of the Sea. 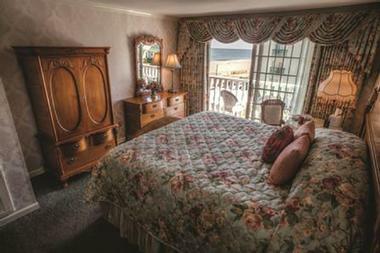 The rooms have tan carpet, beige walls, restored antiques, and are comfortably furnished. Room amenities include flat-screen TVs, complimentary Wi-Fi, private bathrooms, and plush bathrobes. The Inn at Canal Square is a charming, waterfront hotel situated along the Lewes and Rehoboth Canal in Lewes, Delaware. 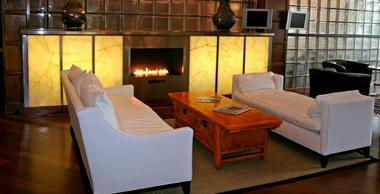 The inn is comprised of 22 elegantly appointed rooms, three luxury suites, and two conference rooms. Centrally located, the Inn’s guests will be just a short distance from fine dining restaurants, unique shopping, and bay area beaches. There’s a variety of fun things to do in the Lewes area that include touring Lightship Overfalls, enjoying a hand-crafted spirit at Beach Time Distilling, or grabbing ice cream at the Hopkins Farm Creamery. The rooms have private bathrooms, coffee makers, plush bathrobes, and flat-screen TVs. The Inn provides a fitness center, complimentary high-speed Internet and overnight parking, and a daily complimentary breakfast. 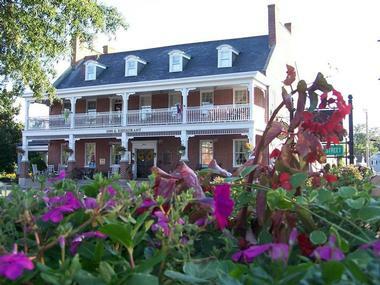 The Rehoboth Guest House is a charming bed and breakfast featuring Victorian architecture in Rehoboth Beach, Delaware. 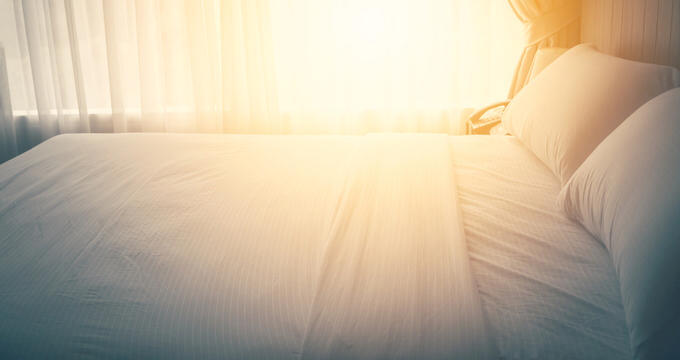 Visitors staying here will appreciate the bed and breakfast’s close proximity to pristine, sandy beaches, boutique shops, art galleries, trendy nightclubs, and waterfront dining. Just steps from the shimmering Atlantic Ocean, guests will have easy access to water activities that include riding wave runners, sailing tours, deep-sea fishing, paddle boarding, and surfing. There are several local attractions to explore including the Delaware Seashore State Park, Gordons Pond, and Funland. The rooms are warm and inviting, tastefully decorated, and comfortably furnished. They’re equipped with flat-screen TVs, mini-fridges, plush bedding, and complimentary Wi-Fi.